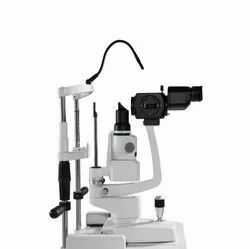 We are a leading Manufacturer of ophthalmic microscope, slit lamp microscope, operating microscope, slit lamp sl 40 five step, slit lamp five step and slit lamp three step from New Delhi, India. 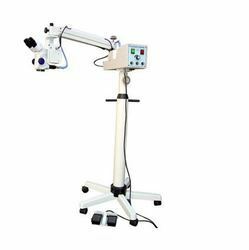 Owing to perfection and quality oriented approach, we have carved niche in the industry by offering an enormous grade array of Ophthalmic Microscope that is widely used in Eye Hospitals. Our offered microscope is strongly built with quality assured raw material and the latest technology. 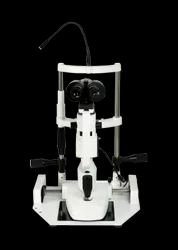 The offered microscope is available in different specifications, to meet needs of our prestigious clients. Provided microscope is highly acknowledged among our clients for its sturdiness and durability. 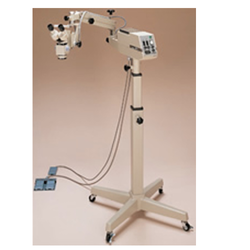 We are engaged in providing quality approved Slit Lamp Microscope that are mainly used in treatment of eye diseases like cataract, myopia and other such diseases. This microscope is manufactured using optimum grade raw material and sophisticated technology in synchronization with industry standards. In order to ensure quality, this microscope is rigorously tested on various parameters by our quality controllers. Keeping in mind the diverse requirements of our clients, we provide the entire range in various sizes and specifications at affordable price. 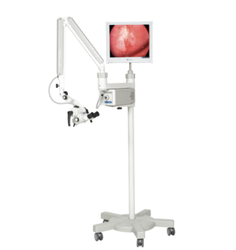 The policy made by the company makes us engaged in offering a quality assured range of Operating Microscope. The entire range is manufactured by a team of our adept professionals utilizing quality approved raw material and advanced technology. Our offered microscope is widely appreciated by our prestigious clients for its high performance and durability. The provided microscope can also be availed in various sizes, designs and other related specifications at market leading rates. It is designed for easy microsurgery. Especially for the eye. 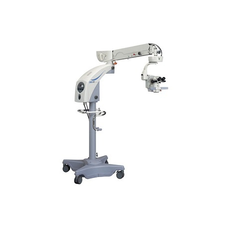 The adjustment of the height is made by counter-balance and the fine adjustment of the microscope is motorized by a foots based operation without using hands. The five-steps magnification changer is incorporated in the OP-2; 0.4X, 0.6X, x-v unit(option)1.0X, 1.6X and 2.5X, which permits a variety of the total magnifications of 2.6X, 4.1X, 6.4X,1O.OX and 15.8X. Control knobs are located on both sides of the microscope head to permit the surgeon to conveniently select the desired magnifi- cation. 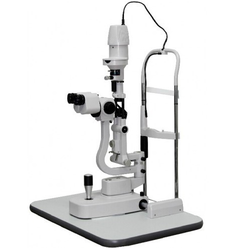 We are regarded as the leading brand offering an exclusive range of Ophthalmic ENT Microscope. To maintain industry defined quality standards, the entire range is manufactured using quality proven raw material and cutting-edge technology. Also, the entire range is examined properly by our quality experts upon distinct parameters of quality. Provided microscope is widely acknowledged among our clients for its compact size and durability. Objective lens f-300 mm, f-400 mm. Beam splitter.C Mount with camera. Beam Splitter with Side observation tube.